GC-Olfactometry; Our Sniffer for GCMS, the PHASER, GC Sniff Port. GC-O our PHASER, Olfactory Detection Port for GC or GC-MS (odour port). The human nose is an incredible detector for aroma/mal-odour components. Gas Chromatography Olfactometry (GC-O) is a bioassay that measures human response to odorants separated by gas chromatography. The superior sensitivity and selectivity of human olfaction make GC-O a powerful and meaningful tool for flavour chemistry. 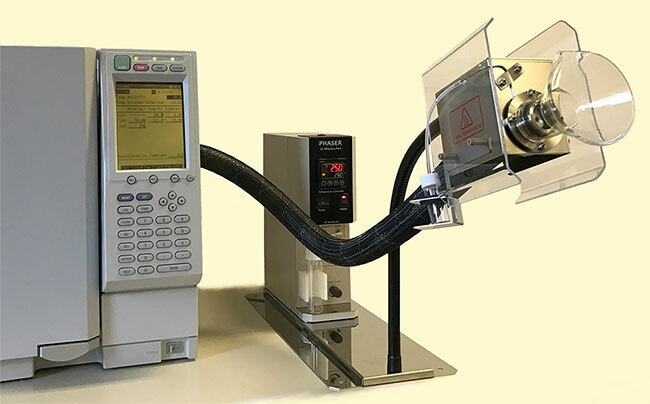 Head-space sampling, distillation, solvent extraction, solid phase micro extraction (SPME) and our DMI are typical procedures used to introduce samples in a GC-O. Besides providing data about the potency of odorants extracted and separated for samples, GC-O can also be used to study variation in human olfaction or provide testing and training of panellists used in sensory testing. At its best, GC-O, provides industry with a link between chemical data collected from ingredients or products and the sensory and consumer preference data collected from the market place. At the very least GC-O data derived from a product can be used for quality control or the development of value added products. No cold spot gives the possibility to sniff the high boiling compounds. Maximum 300°C on the transfer line. Protects your nose from drying by adding moist air to sniffing port. Easy to connect the capillary column to the splitter. Sitting down or standing up while sniffing. Compact and easy to install on any GC instrument. 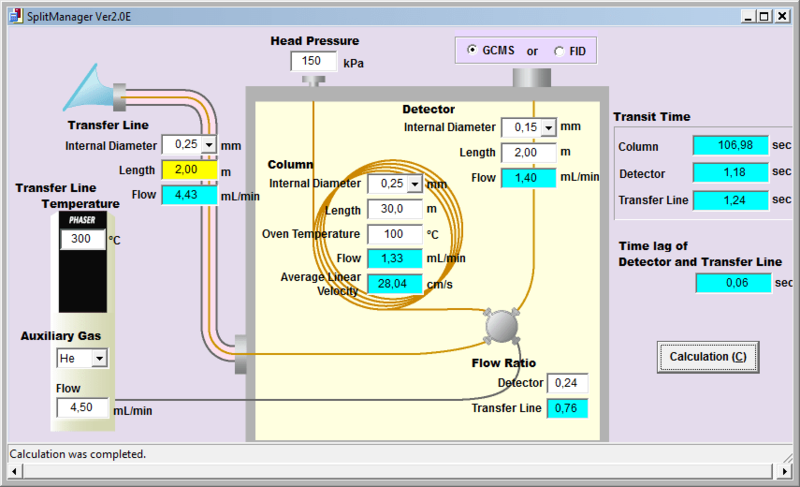 Our sniffer is standard supplied with the SplitManager software and a set of capillaries. With the SplitManager the installation of our sniffer becomes really easy. Our sniffer installed on Shimadzu 2010 GC with 100cm transfer line. A 4 port SilFlow microchannel device is used to ensure a reliable split flow between the GC detector and the nose cone. The PHASER is standard supplied with all capillaries, 4 port microchannel connector, nuts and ferrules and SplitManager software in order to make the installation. Only a GC mounting plate kit is needed.